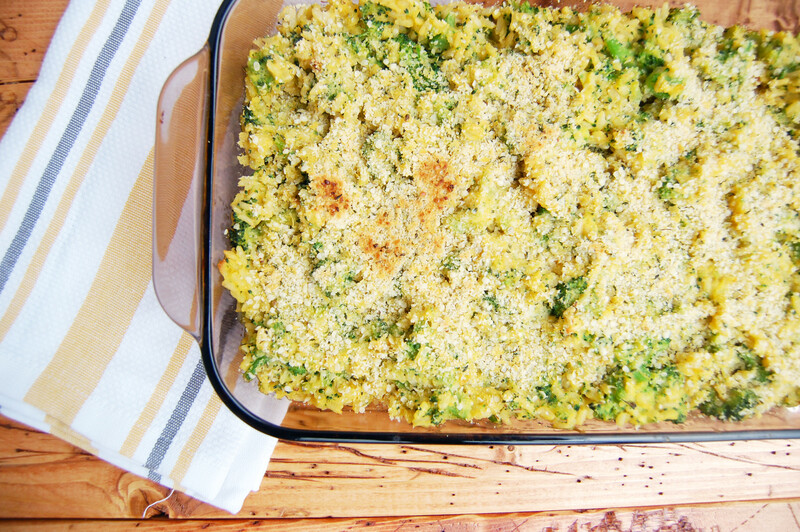 Vegan Broccoli Cheese Casserole - Are You Kitchen Me?! I’m hanging today’s recipe over your head like a carrot on a stick. Except it’s Vegan Broccoli Cheese Casserole. On a stick..? Nevermind… What I’m saying is that I’m going to chat your ear off about my “diet” real quick, then we’ll get to the good stuff. Cool? Cool. Yep. It’s been asked. Questions about veganism, vegetarianism, diets, lifestyles, etc. are not unfamiliar to anyone who has ever decided to give up animal products. As a blogger and someone who posts an obnoxious amount of food pics on social media, friends sometimes ask what “diet” I adhere to. And because I hate the word diet, I like to explain that I adhere to a mostly vegan lifestyle. Veganism is defined as “the practice of abstaining from the use of animal products, particularly in diet, and an associated philosophy that rejects the commodity status of animals.” In short, those following a vegan lifestyle avoid eating, consuming, or using any product derived by animals. Impossible you say?!? Ok, in some ways you may be right. Prescription medicines are tested on animals, thus making them technically not vegan. But that does not mean a vegan suffering from asthma should throw out their inhaler. The phrase “as far as is practical and possible” accurately describes how most vegans make their choices. Have I been starving at a restaurant only to find that the salad dressing contains a splash of buttermilk? Yes. Did I eat it anyways? Yes. Veganism is not about being perfect; it’s about making a difference in the best way possible. A lot of people like to ask, why? Why give up meat? And cheese?! Are you kidding?! To me, I’m eating the way that feels most natural. The food makes my body feel good, sparing innocent lives makes my heart feel good, and the impact on the environment makes my head feel good. To me, it just makes sense. 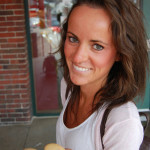 One of my favorite Whole Foods Plant Based bloggers, Molly of Clean Food Dirty Girl, has some AMAZING comprehensive guides if you’re interested in making a total plunge into the whole-food-eating world. Or if you just want to pick up a meat-free recipe or two to try this week! Every little bit helps. 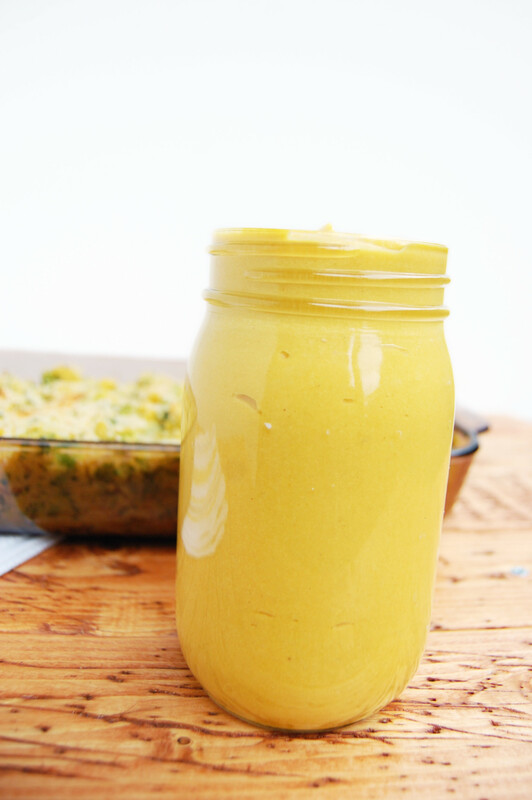 She certainly helped me create this dish- the cheese sauce is inspired by her recipe! 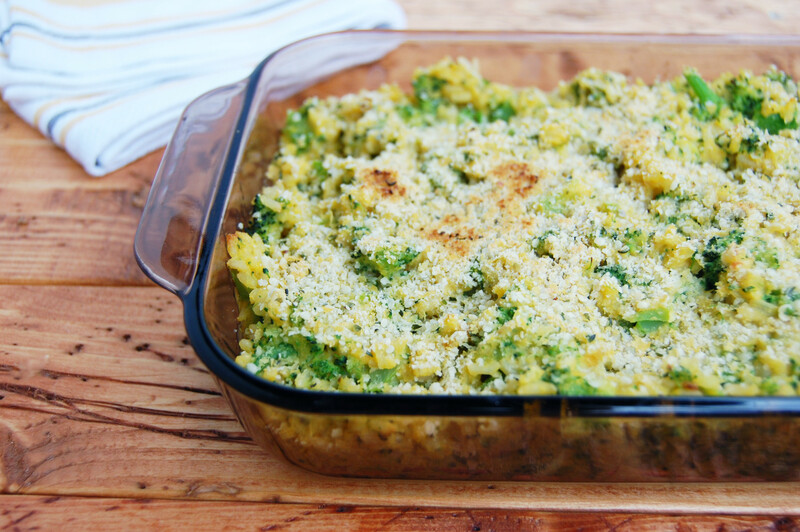 To prove that vegans aren’t starved hippies munching on rabbit food all day, I present to you this totally decadent and completely animal-product-free Vegan Broccoli Cheese Casserole! It’s every bit as comforting as the creamy, dairy-based casseroles of my childhood. But this time with zero cholesterol and very little fat! The topping on this recipe is basically my version of vegan parmesan. 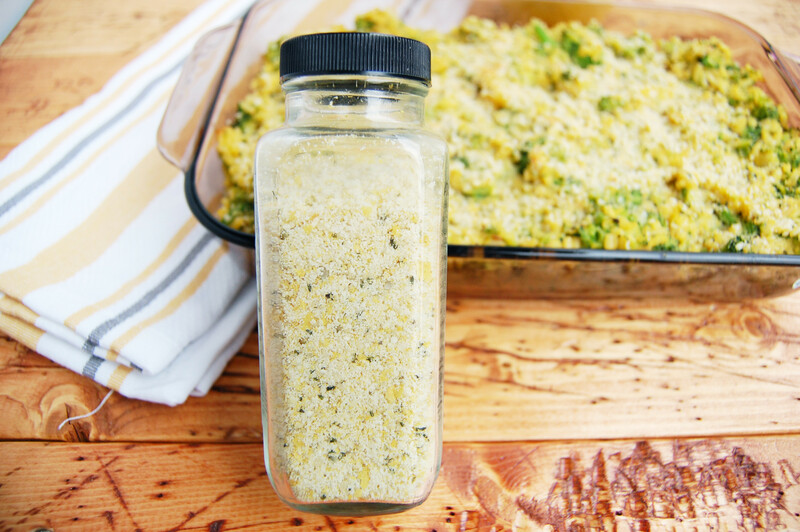 It’s salty and delicious and perfect for topping all your favorite savory dishes. Yummy on pasta with marinara! Oh, and don’t be intimidated by the long ingredient list and multiple steps, I’ve made this recipe so many times and it only takes about 30 minutes to prep! Even if it took two hours, it would totally still be worth it. If you’ve ever been curious about cutting dairy out of your life, make this and revel in the cheeeezy creamaaayy spoonfuls. Cheese? What cheese? 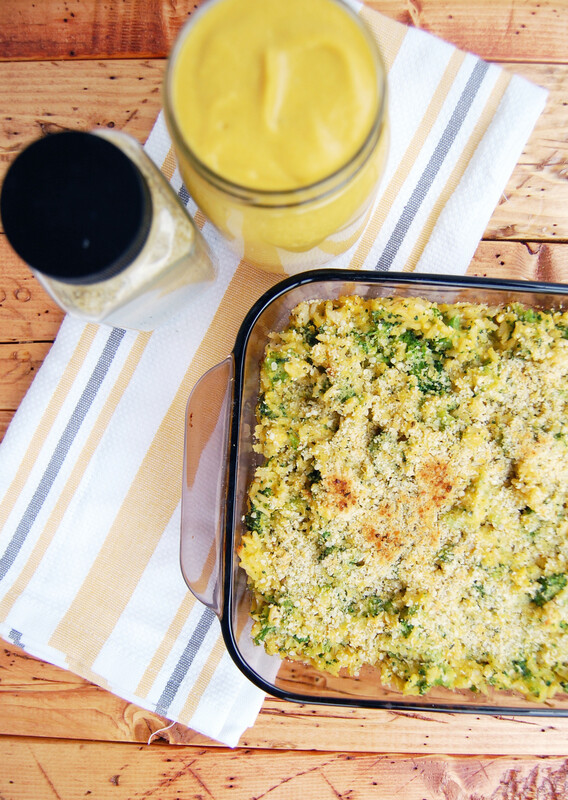 Creamy, cheesy, and delightfully familiar, Vegan Broccoli Cheese Casserole is the ultimate plant-based comfort food! And healthy to boot! Make the sauce: Add the cashews to a medium pot and cover with water. Bring to a boil for about 5 minutes, and then pour nuts and water into a heatproof bowl. Cover with a plate and set aside. In the same pot, add the vegetables, 3 cups of water, and ½ tsp. salt. Bring to a boil and cook for 10 minutes, until the veggies are completely soft. 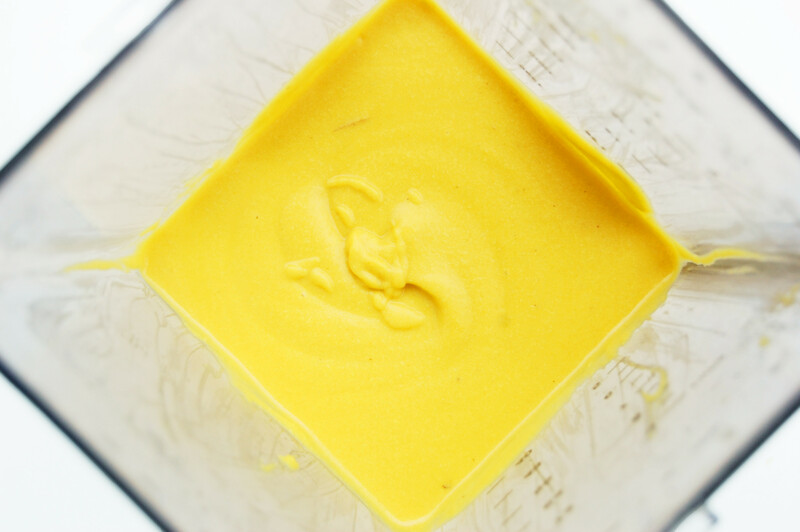 Using a slotted spoon, scoop the cashews out of the bowl and veggies out of the pot and into a blender. Add remaining ingredients and 1 cup of the water from the vegetables. Blend until completely smooth, adding more water if necessary (I used about 1/3 cup more). Topping: Add all topping ingredients to a jar and shake to combine. You will have more than you need for this recipe, try it on top of roasted veggies, veggie pizza, and other snacks! Assemble the casserole: Bring a pot of salted water to a boil. Add the broccoli and blanch for about 1 minute. Drain over a colander then chop roughly. Combine the rice, broccoli, chickpeas, and 1 cup of sauce in a large bowl (or the pot you just used). Add more or less sauce to your liking. Sprinkle with topping. Bake at 350 degrees for 30 minutes. If the top has not browned, broil for 2 minutes, watching closely. Allow to cool slightly and enjoy!